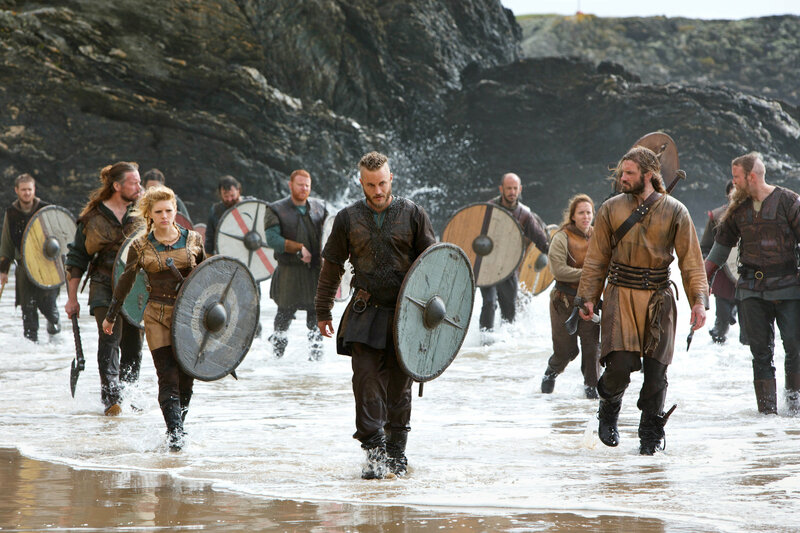 The “Vikings” TV Show was renewed for a Third Season in 2015. As much as I am excited at the prospect, it also brings a question to mind. Why is there no equivalent to a show like “Vikings”? Why is it all European historical shows? You could have a show about any historical group. We know a LOT more about them than ever before. Why not the Song Dynasty of China about the same time as the Vikings? Why not the Islamic Caliphate? Why not Ancient Ghana or Ancient Egypt? What about Mesopatamia or the Mound Builders in North America? Is it viewership? Is it simple racism? Will white viewers not watch a show about “brown” people? I doubt it. There are lots of documentaries out there. They sell to mostly white audiences quite well. Is it a lack of a perceived market? Sure almost half the country is non-white…but will they BUY STUFF? Is it a “we only care about what people with money think?” If that were the case the poor white folk of the Deep South wouldn’t be marketed to so extensively. Is it lack of research and material? Could be. There isn’t as much out there and preserved. However, some like the Chinese and Egyptians are quite well documented. Is it cultural sensitivity? Is it just harder to “get it right” or at least “acceptable to the viewers?” Depicting things accurately could be less than beautiful for many of those involved. Plenty of historical debates going on that might not take well to the big screen. How would viewers react to the reality of rampant slavery in an African Empire for example? What about the prevalence of cannibalism in many Ancient American societies? How about the racism inherent in much of Chinese history against their neighbors? We seem to have no problem with White Guilt. We’re used to it. We’re ALWAYS cast as the “bad guys” so it’s not really a surprise to see Vikings chopping each other up with axes and looting corpses. Seems legit given how evil we are in the media. Yet the Vikings were far from the worst in that respect. Plenty of Mongol, Arab, African and Chinese raiders out there. Are we really ready to explore history as adults and see the good and the bad of everyone…as humans… and not as just this or that ethnic group? I’m not sure we’re there yet. I’d love to see it however. I actually had to give it to HBO’s Rome. It was as close to the way the Romans actually behaved according to the evidence we have as possible…mainly because it was on HBO. If it were on say AMC or The History Channel they just couldn’t show a lot of the stuff they did. For that matter The History Channel’s Vikings is actually downplaying the absolute horror of a Viking raid. Let’s just say there’s a reason why some of the most powerful crowned heads of Europe paid these guys money and hoped they’d go away. Also I would have gladly kept watching HBO’s Rome. However it got cancelled due to either 1. The Pope refusing to allow any more filming in The Eternal City or 2. the producers refusing to pay the hired goons that came around and mysteriously their sets kept starting on fire after that. Of course the current Pope just Excommunicated every single member of organized crime this past summer too. Which I find kind of awesome.